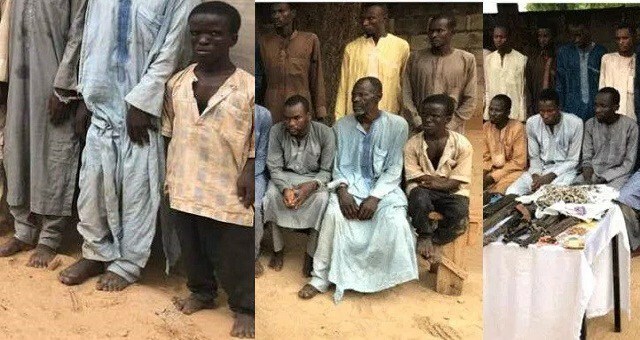 A dwarf Boko Haram suspect has admitted to having received not less than N5,000 for facilitating each suicide bomb attack carried out by the terrorists in Maiduguri. The suspect Abubakar Kori, 25, is among the 22 people arrested by the police in Borno and Yobe for their alleged involvement in suicide bombing activities carried out by the militants. Speaking to newsmen, Kori, who was a security guard at a filling station in Dalori, said he received N5,000 as payment for facilitating the execution of each suicide bomb attack in Maiduguri and its environs. He also said that he participated in several suicide bomb attacks in recent months in the metropolis. “My role is to keep the Improvised Explosive Device, IEDs, for onward delivery to another person who will carry out the attack. On different occasions, two of my acquaintances gave a parcel to keep for somebody, who will come and take it. I normally kept the parcel in my duty post; the appointed person would come and pick it; after successful delivery, they paid me N5,000,” Kori revealed. “We reside in the same neighborhood in Maiduguri; they always told me that the parcel was given to them by one Ba’Adam, and asked me to keep it. They introduced me to Ba’Adam, who is the mastermind of the attacks,” he added.